A video collection of great performances from the early 1950s by some of the most famous and influential country music performers of all time! 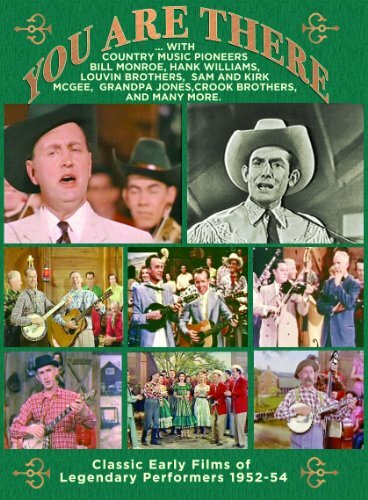 Here are 6 classic selections by the legendary father of bluegrass, Bill Monroe, preserved on beautiful 35mm color film and the only video capturing Bill and his band at the very height of their powers in their early days. Also here are 4 black and white selections by Hank Williams, universally recognized as the greatest country performer of all time! These selections by Hank are the ONLY surviving film of his music and, as with the Monroe videos, some of this film has not been seen by anyone in over 60 years.